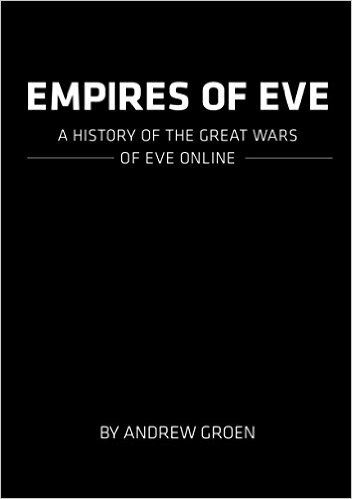 Last week, Charles Singletary wrote a piece here on Unwinnable about gamer historians like Andrew Groen, author of Empires of EVE: A History of the Great Wars of EVE Online. I recently sat down with Mr. Groen to ask him about his methods, his inspirations, and the challenges he faced putting the book together. Megan Condis: What got you interested in virtual histories in the first place? Why EVE Online? Andrew Groen: I think it’s relatively common knowledge that we all experience some pretty incredible things inside virtual spaces. But for the most part, we treat these stories as unimportant or somehow less-than-genuine parts of our life. I fundamentally disagree with the notion that because something happened on the internet it is somehow less real or less interesting. In many cases, things that happen on the internet or in virtual spaces are even more interesting because of the canvas they take place against. I got interested in EVE Online because I believe it is the best artificial environment human beings have ever constructed. I became interested in virtual histories because I recognized that there’s an entire sphere of human life that is being ignored and going undocumented. I believed and still believe that the history of EVE was the most interesting and the most suitable for telling an epic book-length story. MC: Talk a little bit about your methods. Where did you look for documents and what kinds of documents did you find? How did you track down in-game participants from all over the globe? Did you have any issues with having to translate foreign languages and the like? AG: This was a real challenge, because much of the content of my book concerns events that took place on the internet more than ten years ago. This makes things often incredibly difficult to resurrect. There’s a sincere correlation with archeology in some cases because you’re often taking fragments of old forum posts, or scraps of derelict wikis etc. and trying to piece them together into a coherent story. I’m at least lucky in that I can still interview people (if I was able to track them down, a challenge in its own right) and try to combine all of that information and find a true chain of events. One of the most important resources I found were databases of community-made maps made to represent the current political state in EVE Online over the years. In some cases these maps were auto-generated daily and archived. So with a knowledgeable pair of eyes you can look at the way these maps change week-by-week and see a grand space opera playing out inside of them. MC: What are the biggest challenges facing a virtual historian? Were there any traditional (or nontraditional) researchers that inspired you along the way? AG: The biggest challenge is simply data loss. The difference between trying to tell a story from 2003 vs. 2013 is incredible. In 2003 your biggest problem is that you have a tiny amount of resources to look at for information. In 2013, the internet had expanded exponentially, and the biggest problem you face is a complete deluge of information and opinion that makes it extremely difficult to know what to prioritize or take seriously. MC: What purpose do you think virtual histories serve? How will they inform the histories that are written about our own era? AG: I can’t be sure! And that’s terrifically exciting. I started writing this book in part because of a vision of the future I was having in which humanity looked back at our era 100 years from now, and could see we were spending lots of time inside virtual worlds, but these future historians had no way to know what went on inside them. What were we doing inside the internet? If they reboot EVE Online 100 years from now they’ll find a dead empty husk of a world that they’ll probably scarcely recognize as a virtual world at all (like us with MUDs.) What they need is a story that captures the drama and emotion that plays out in these places. MC: What types of established geopolitical ideas or theories translate well into a description of a virtual world and which translate poorly? For example, I am thinking here about your mention early on of “ancestral rights” being accorded to groups that had occupied certain territories from the early days of the game’s release. AG: Megan, this is the best possible question. [MC: Thanks!] The problem is that the answer to this question is probably an A+ PhD thesis, and I’m not sure I can do it justice here. What I can say is that the most interesting thing I observed while studying EVE is the emergence of micro-cultures that behave very similarly (at a more muted intensity level) to real world cultures when threatened. The climax of my book – The Great EVE War – can very much be read as a cultural struggle between two groups who believed a cultural genocide was being directed at them. A great deal of the motivation behind the great mobilizations and war efforts of EVE can be charted back to a group believing their way of life (or way of gameplay) was under attack. MC: How do games systems influence the kinds of histories that can be told about a particular virtual world? For example, this book is called the “Empires” of EVE Online and it focuses in large part on colonization and conquest, armies and engineers, recruiters and propaganda makers. Does the game lend itself to this kind of narrative? Are there other kinds of histories that could be written about EVE Online? Do you think other games require different methods of research and storytelling? AG: Other games and virtual worlds can have histories written about them, but none would be as interesting as EVE. 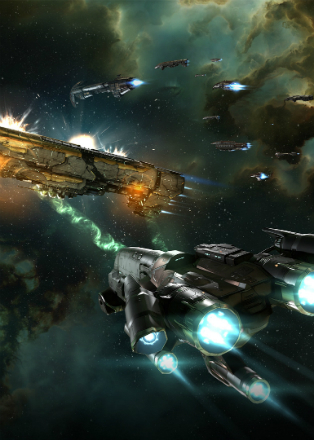 EVE Online‘s nature as a global, single-server community means that its history is unified. Other games or worlds have histories, but they’re the histories of their individual, segregated server-based communities. These can often be fascinating, but these kinds of multiverses strike me as inherently less dramatic. EVE is unique, and I have no doubt that there are a dozen other approaches historians could take in trying to discuss and define its history. There are incredible opportunities for biographies of famous players (I’d love to see a dramatic narrative about EVE‘s most famous pirates and criminals, for instance) and many different areas of the game to explore. 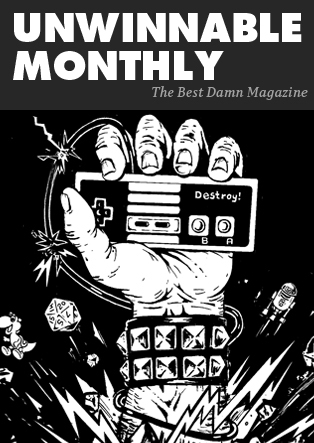 Most games’ histories can’t be told narratively. The story of World of Warcraft doesn’t exist chronologically and causally in the same way that EVE does. You can write histories about these places (and I hope someone does) but probably not in a narrative way in which one event precipitates the next. MC: What other games (past or present) would you like to see someone write a virtual history of? I’m honestly not sure. EVE is a really special game, and I’ve never found something that interests me at the same level. More than a history book about these places, I’d rather see an effort to collect and tell smaller scale stories from games and virtual places like WoW, Ultima, Second Life, etc.